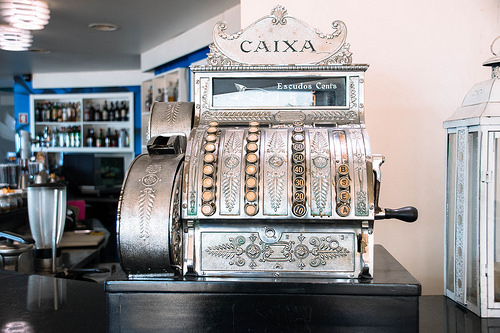 In Portugal, gratuities are not expected and, as elsewhere in Europe, tipping in Portugal is certainly not a legal requirement. People working in the hospitality sector are often full-time employees and are paid a salary for the work they do. If you come from a country where tipping is customary, and you feel uncomfortable leaving without paying a gratuity, you certainly won’t be insulting anybody by leaving a ‘gorjeta’ which is the Portuguese word for a tip. 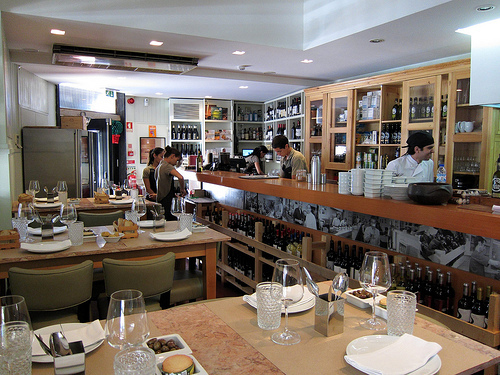 If you order coffee at a bar – you don’t need to tip – and most Portuguese won’t. Those who tip, leave small change (less than 50 cents). Tip when you feel you’ve been in receipt of great service or have enjoyed free WiFi or something else that was over and above the typical offering. Small change is always acceptable – unless you are somewhere ‘posh’. For example, tip a euro coin or two when having a coffee at high-end hotels such as the pousadas chain. The Portuguese don’t tend to tip when ordering a glass of wine or a beer out – but we might leave small change (up to a one euro coin) especially if given free olives, cheese or meats etc (see below for ‘couvert’ charges to know whether they were actually free or not) or offered help when selecting a wine etc. 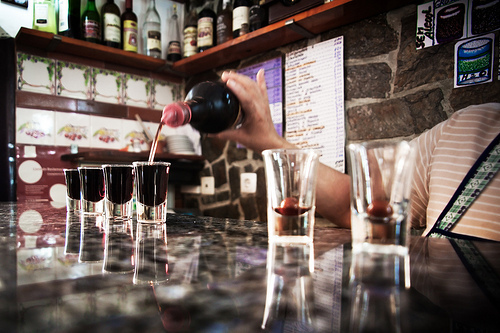 We treat petiscos (Portuguese tapas) like any other meal and leave small change – (perhaps 2 euros if there are two or three of us) but again – you won’t see locals do this as a general rule. If you have a meal at a local tasca or tavern, again a tip isn’t expected but we tend to leave a euro or two. If you’re having a set-price ‘prato del dia’ (meaning dish of the day) or eating ‘a la carte’, we will often tip the small change (up to 2 euro). Why don’t the locals tip? Both the staff and the regular diners feel it’s better to return frequently rather than come once and leave a tip. Of course, if you are touring around, you don’t have this luxury – so the tip is the only way you can show your appreciation – but it’s not expected. Although it’s not a local tradition, we generally recommend tipping a euro or two when eating alone and the place is busy – especially if you are planning on sticking around for a while. And we would leave a gratuity when given any special treatment such as translating the menu, assisting with dietary requirements etc, holding a table while some of your party are delayed. And if you are out with a large family group and the staff are very accommodating, we recommend tipping a minimum of one euro per person – and if the place is really special, leave a tip of 5 – 10 percent. Locals probably won’t do this – but we feel it’s correct to reward people’s time and patience – especially when staff speak slowly or help with children’s order and are happy to translate. As you probably do in your own home city, tips tend to be more generous for evening meals. 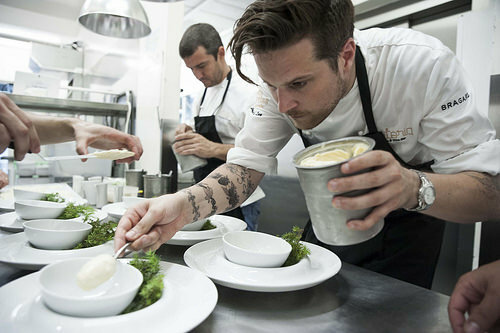 Tips for top-class restaurants or Michelin-star restaurants tend to follow more international lines. We would generally tip 10-20 euro for a really special experience – and with an upper limit of 10 percent of the bill. Locals may just round up to the nearest 5 0r 10 euro note – and if you feel comfortable doing this, by all means do exactly that. Nobody will be insulted if you leave a small tip – but if you prefer to tip to international standards, and feel you enjoyed good value for money, feel free to tip as you see fit. The most controversial aspect of the bill in Portugal is the charge for appetisers – known as the ‘couvert’ and can be anything from a euro or two per person with the occasional surprise hike if seafood was served. This is a per-person fee to cover the cost of the nibbles such as cheese, olives and cured meats such as presunto that the waiting staff put on your table when you arrive. 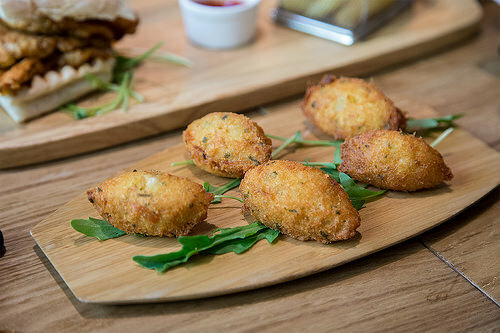 If you don’t want to eat these appetisers or don’t like the concept of having to pay for food you didn’t ask for, request that they be removed from the table when you sit down – if they are already on the table – or stop the waiting staff from placing them on the table after you take a seat. Everything else on the bill should be straightforward. The sales tax is called IVA and will be at the end of your bill. Unless you are ordering the dish of the day (which is prepared in advance), sit back and relax, enjoy the appetisers, and pay the ‘couvert’ charge (they are rarely expensive), as most dishes on the menu are prepared from scratch and will take quite a while to make it to your table. As with anywhere else, if you want a tip to go to the person who gave you good service – seek them out or refer to them when leaving the tip. Never ask for the gratuity to be added to the meal total and charged on your credit card. This may be commonplace in many countries but is not in Portugal. Cash is king when it comes to tipping. If you are ordering a few beers or wines at a bar in the evening, you don’t need to tip. That said, if you are getting table service, you could leave small change or a few euro coins especially if you are ordering the more expensive drinks such as cocktails and spirits which can be beautifully prepared and are labour-intensive. If you are having a wine in a small neighbourhood bar, you could leave a small tip at the end when paying. If you’re in a late-night bar without any table service, there is no need to tip. Porterage isn’t so commonplace in Portugal – but if your hotel does have somebody to help you with luggage, we recommend a tip of one euro per bag up to a total of 5 euro. For room service – you can tip the person who delivers your meal or drinks – 1 euro for drinks is plenty and 2 euro for something more elaborate. For chambermaids – we often leave a few euro coins at the end of our stay – but it isn’t expected. For taxis, round up the loose change if your driver was pleasant and helpful– although many locals won’t tip. If you are travelling a short distance, leave a little extra to compensate for the small fare. If you are hiring a car and driving around Portugal, you’ll see people in the street who make a few euro by helping drivers find a parking space. We always recommend our clients to use authorised car parking but if you are in a small village and you park your car and are approached by somebody – don’t make a fuss – just leave the guy a euro coin. We recommend tipping drivers at the end of the journey/day/period of contract for any additional services they have provided. For example, if they carry your bags, translate for you, and help you out in any other way – we would leave a tip. Remember that knowledge is time. And unless you have researched the city or region (and even when you have) it’s hard to beat the personal recommendations of a local. We would suggest a tip of 15 – 20 euro per day. Of course, no gratuity is ever expected and you won’t ever be put under pressure to tip, so please make your decision based on the quality of service you receive rather than feeling you have to. A euro coin or two is a perfect tip for your hairdresser or for any other beauty treatment – although we would increase it to a two or three euro if your hairdresser went to great trouble to translate for you or accommodate your appointment. If you are at a luxury spa, we would tend to adopt international tipping customs and leave 5-10% if you are happy with the service. If you need a tradesperson such as a locksmith or plumber, tip 5 euro for the callout. 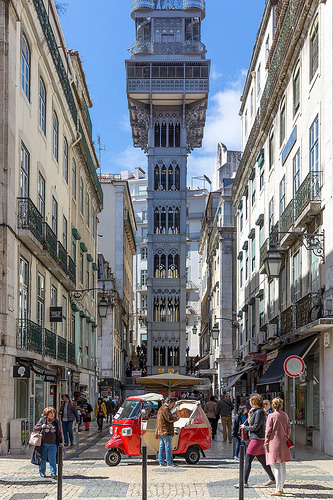 For deliveries – tip a euro or two for any deliveries to your hotel or apartment – perhaps more if you are in a particularly awkward location to access or if the building doesn’t have a lift. We always recommend tipping anybody in Portugal who is self-employed – especially when they go beyond the call of duty. Take the example of a private guide. Beyond the call of duty could be anything from a truly genuine welcoming smile and their knowledge of where you have come from and what you have already seen. It can be practical such as when they take a few photos for you of your group and point out good locations for photos. And we especially love when guides take us off the beaten track and show us places that are very personal to them – and we believe these reasons and a few others are well worth a nice tip because no amount of guidebook reading would bring you there. For half-day tours with a private guide, it is entirely at your discretion, but we would suggest 10 – 15 euros per couple would be welcome and more if you are extremely pleased. We would only suggest this for the private sector e.g. we wouldn’t tip a state employee at the city museum but we would tip a privately contracted guide for a tour of the museum. If you have a private guide for the day you are pleased with, we would suggest a minimum of 15 – 25 euros per couple. Whether you tip or not, remember that when a guide or driver gives you personal recommendations for places to visit or suggest places to eat, and you enjoy their recommendation, you should advise the owner (especially if it is off the beaten track) that you were sent by your guide. It won’t do you or them any harm. And while we are on this topic, if you are particularly happy with your guide or any other self-employed services, always let your tour operator know. 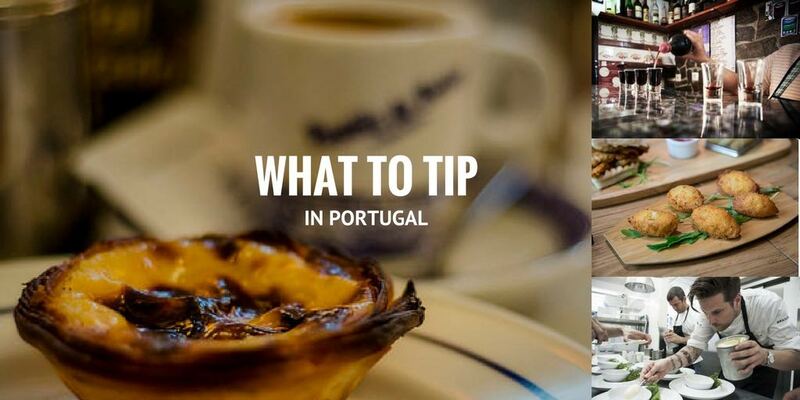 Compared to the US and the UK, tips in Portugal are often small change – literally. If you like to tip for good service – a few euro coins up to a maximum of 5 percent is more than enough. There are very few occasions for which you would tip 10 percent or more. Want to experience Portugal? Check out Why Totally Spain likes to Visit Portugal, 12 Reasons to Take a Lisbon City Break, Places that Grabbed us in Central & Northern Portugal, plus our guides to the Lisbon region, the Alentejo, Aveiro, Coimbra & the Centro Region, Jewish heritage in Portugal, Porto & the Norte Region & Portugal’s first parador. 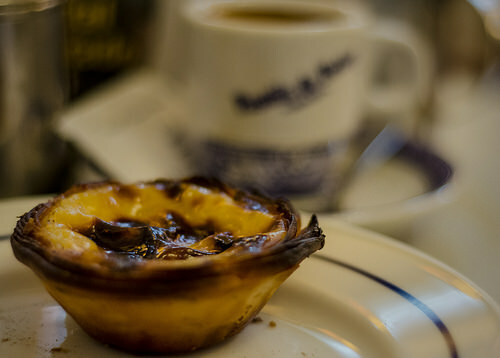 Posted in Popular Posts, Portugal, Useful Information and tagged bars, bill, charges, check, couvert, eating out, euros, fees, Gratuities, gratuity, Lisbon, Portugal, receipts, sales tax, service, tip, Tipping, tips, waiter.